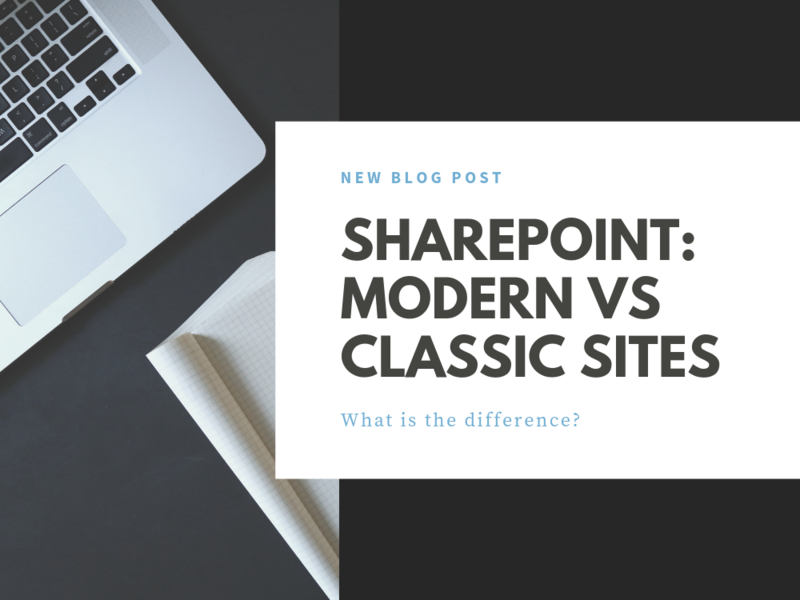 In this blog, we look at the vital differences between the classic and modern versions of SharePoint, along with some of the other recent SharePoint developments. SharePoint: What is the difference between modern & classic? Over the last 3 years, Microsoft have made many changes to SharePoint online. When Microsoft first launched the Office 365 version of SharePoint online, it was the same offering as the on-premise version you install on your own server. Now that the Office 365 service is maturing, Microsoft are focusing on integration within other areas of Office 365. These components have all been updated to, what are referred to, as “modern” components. Currently you can switch between classic and modern, however the default for a new Office 365 SharePoint site will use modern. Microsoft has allowed Office 365 tenant administrators to opt out of the modern interfaces and stick with classic, but this will be changing soon. “We’re making some changes to how environments can opt out of modern lists in SharePoint. From a usability perspective this makes sense as classic pages don’t work well with high resolution displays or modern mobile devices like smartphones and tablets. 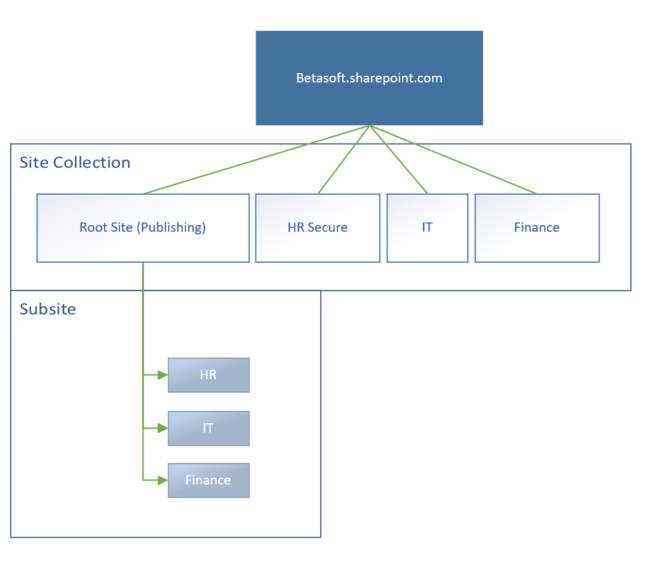 Each of these layouts have pros and cons, however Microsoft have a new way of creating SharePoint online structures. With the introduction of “modern” SharePoint comes new templates. When creating a modern site using the built-in templates you are asked for a site name. 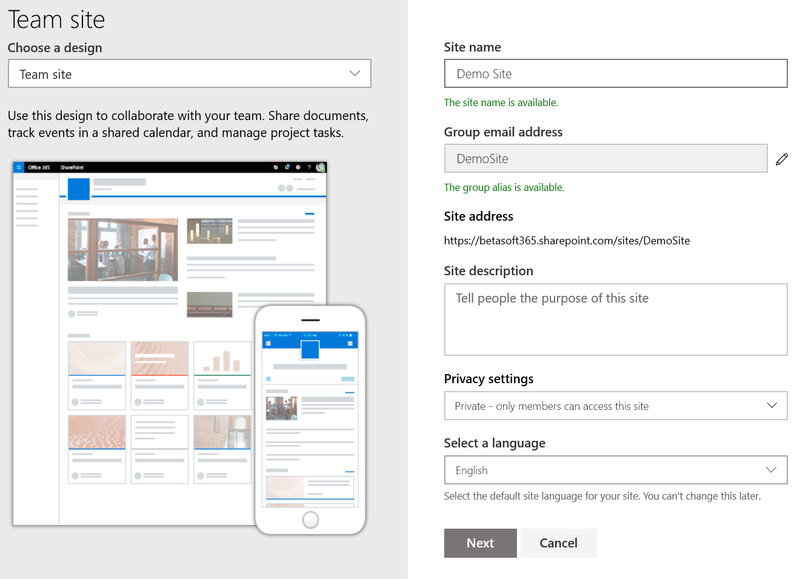 SharePoint then creates an Office 365 group associated with the new team site. Once the new site is provisioned you can connect it to a Hub site. Following this, it will inherit the navigation from all the other sites connected to the same Hub site. 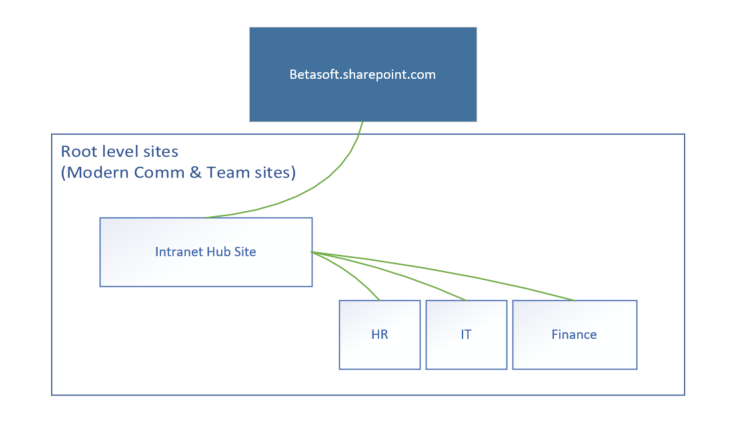 SharePoint based systems and templates from Betasoft use fully modern interfaces and, in most cases, are configured to integrate with other areas in Office 365. If you want to try out the new SharePoint modern sites, then why not download our free templates to get you up and running quickly. Don’t forget to follow us on social media for more daily SharePoint tips. 0 Comments on "SharePoint: Classic vs Modern Sites "